The National Coordinator of Oodu'a Peoples Congress (OPC), Otunba Gani Adams has expressed concern over political situation in the country, adding that former President Olusegun Obasanjo laid the foundation of most of the problems confronting Nigeria currently. Adams said this while speaking with newsmen in his office, stating that the concern was borne out of genuine fears that no matter who wins the presidential election between President Goodluck Jonathan and General Mohammadu Buhari of All Progressives Congress (APC), the nation was likely going to erupt in violence. According to the OPC leader, if Buhari loses the election, the northern youths may go into violence, while the Niger Delta region is likely to erupt in crisis if President Jonathan loses. He, however, prayed that the country should not break and America's prediction does not materialise, just as he lamented the poor security situation brought about by Boko Haram insurgency and nose-diving price of crude oil in the international market. Adams, who recalled the United States' prediction of break-up of the country in 2015, however, expressed the belief that such damning prediction, which he described as 'highly spiritual and far more than intelligence gathering,' did not come to pass. The OPC chieftain said Obasanjo should be held responsible for major problems confronting the country, declaring that the former president created the cabal President Jonathan was complaining about. 'The very cabal that Jonathan complained about was created by Obasanjo. All the problems that are existing in Nigeria today, the foundation was laid by Obasanjo,' he said, pointing out that the Transcorp, Pentascope deals, among others were just a few cases of corruption under General Obasanjo's regime. On the issue of planned interim government in case the 2015 poll became inconclusive, Adams said this would not be the solution. Adams also recalled that Nigeria would have been better had the former president allowed restructuring of the country during his tenure through the constitutional conference he organised. 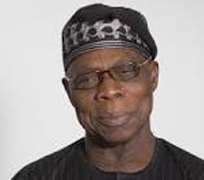 According to the OPC leader, Obasanjo ensured that the Yoruba agenda for the conference did not see the light of the day. - Guardian.